In the past three years, we were facing double challenges of old plant demolition and new plant construction. So at that time we cannot better meet your expectation and requirements in many aspects, such as not able to launch new products with better cost performance earlier; product and technology updating and upgrading cannot be carried out earlier and so on. These may cause various inconveniences to you, and even may not be able to help you on the cost optimization. For this reason I deeply feel ashamed and uneasy. 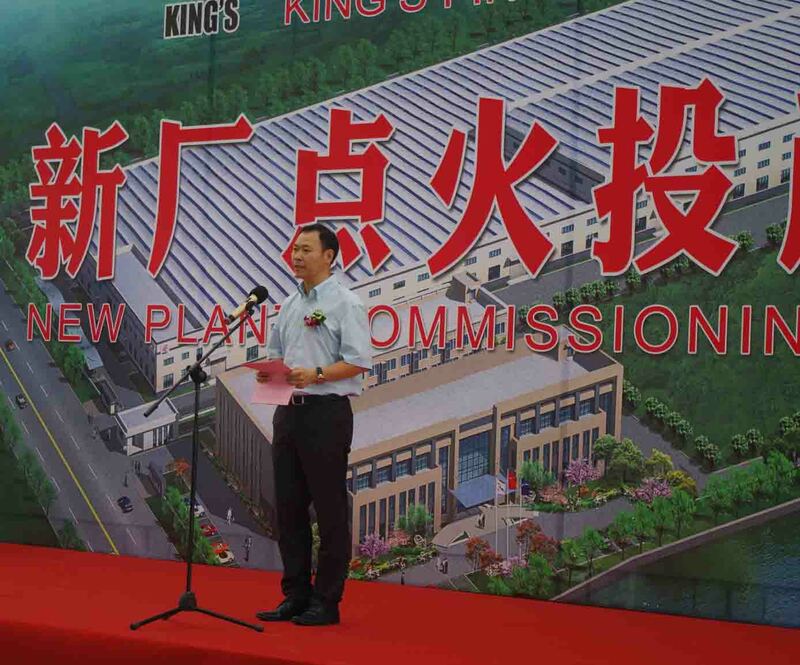 It is your tolerance, understanding and support, your trust and love, expectation and encourage that give us confidence and assurance to start building a new plant. We are so grateful to you all! A friend in need is a friend indeed! I firmly believe true friendship much stand up to all tests! True business partners give mutual support in tough times! As you can see, after three years’ hard efforts, finally our new plant was built up and put into operation by today. Finally we got what we desire! With a heart full of gratitude, we are coming to a new starting point to better satisfy requirements of our business partners. Furthermore, we have sponsored Comminution Conference in South Africa both in the year 2014 and 2016, and presented two papers in this international forum. The two papers have already been published in a globally renowned and professional Journal “Mineral Engineering”. All the achievements are made through hard work, but I understand that this is far less than your expectation, which is quite high and ardent due to your sincere love and trust on us. Recently, there is a very popular saying in the internet: “Dedicate your life excessively on good things”. Both my fellow colleagues and I firmly believe that what we are dedicating in is not only good, but also meaningful. My fellow colleagues and I have a dream, that, one day, through many years’ efforts, we will become the best global fine grinding solution provider by delivering the best product and excellent fine grinding technical assistance to customers all around the world. Undoubtedly, our dream can not be realized without the leadership of Chinalight, the support from Yixing Municipal government,and the genuine trust and help of all our partners. In the year 2015, Chinese government has unveiled a ten-year national plan, “Made in China 2025”, which becomes our country's first action plan focusing on promoting manufacturing sectors. As a manufacture, we feel lucky to stand at this historical point and to make contributions to this great plan as well as boosting the image of Chinese manufactures and the products.In order to achieve this plan, I hope that we can make concrete actions rather than paying lip service. And in order to achieve this plan, we should demonstrate a high-level of team spirit. I personally feel very proud of my team members, all of them coming from top universities in China and working together with me toward a same goal: growing to become the best player in fine grinding technology. I believe that by serving this goal whole-heartedly and consistently, we will find no regrets to our life and our era, and we can say proudly to our next generation: we made it! Today’s commissioning ceremony is not only a good start of the new plant, but also a start of long-term commitment. Standing here, I would like to make a formal commitment to all of you: we will devote ourselves to the innovations of the product and process improvments, to providing the quality product, excellent service and the competitive price to the customers. Our distinguished customers, we will grow together with you and make contributions to your success! At last, I hope everyone a healthy, happy and prosperous life forward! Thank you again for attending the ceremony.